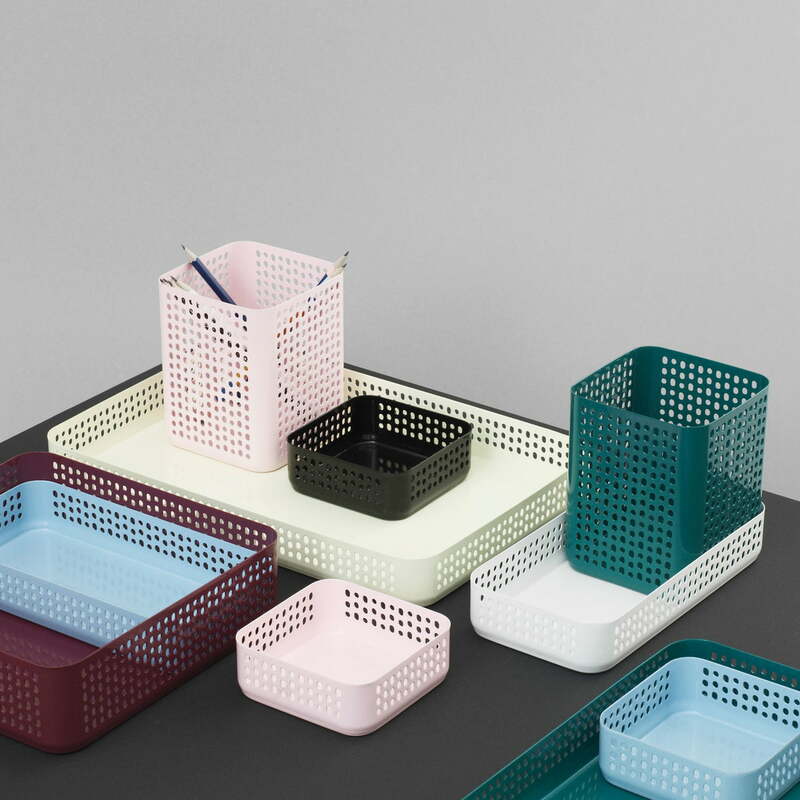 The Nic Nac Organizers are useful storage boxes created by Nicholai Wiig Hansen for Normann Copenhagen. Hansen combined an industrial look with refined details, giving a balanced look to the design. The organizer can be universally employed: whether in the kitchen, on the desktop or in the bathroom. 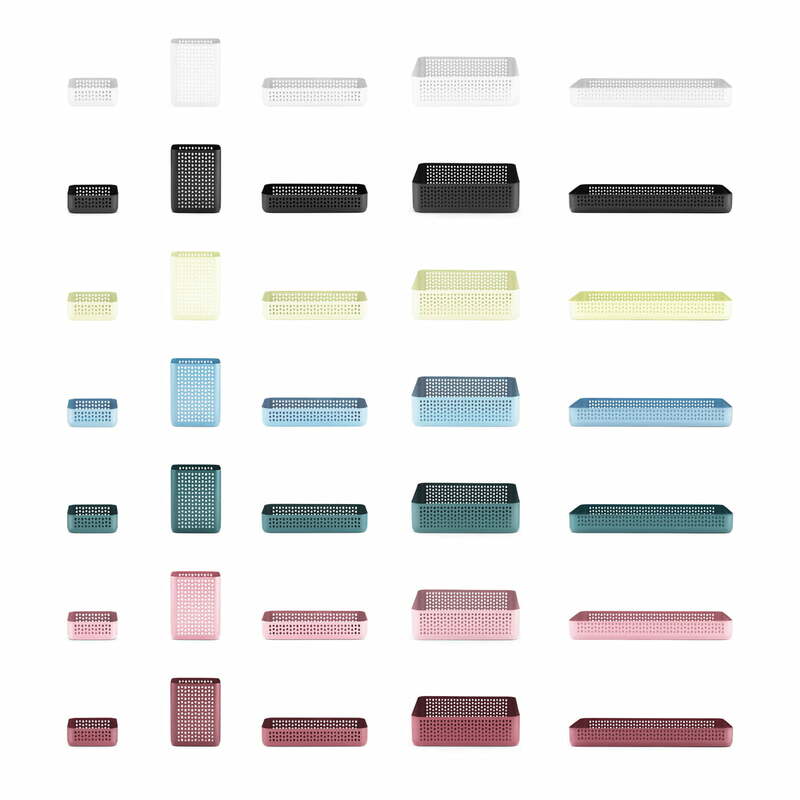 The Nic Nac Organizer 34 x 23 cm consists of powder-coated steel in various colours. For Hansen, it was important to get the interaction between the proportions and the thin edges right. In order to add lightness and dynamics to the design, he created a perforated pattern. That makes Nic Nac more domestic in appearance. Ann interplay that creates curiosity is created by the shadow and camouflage effect. 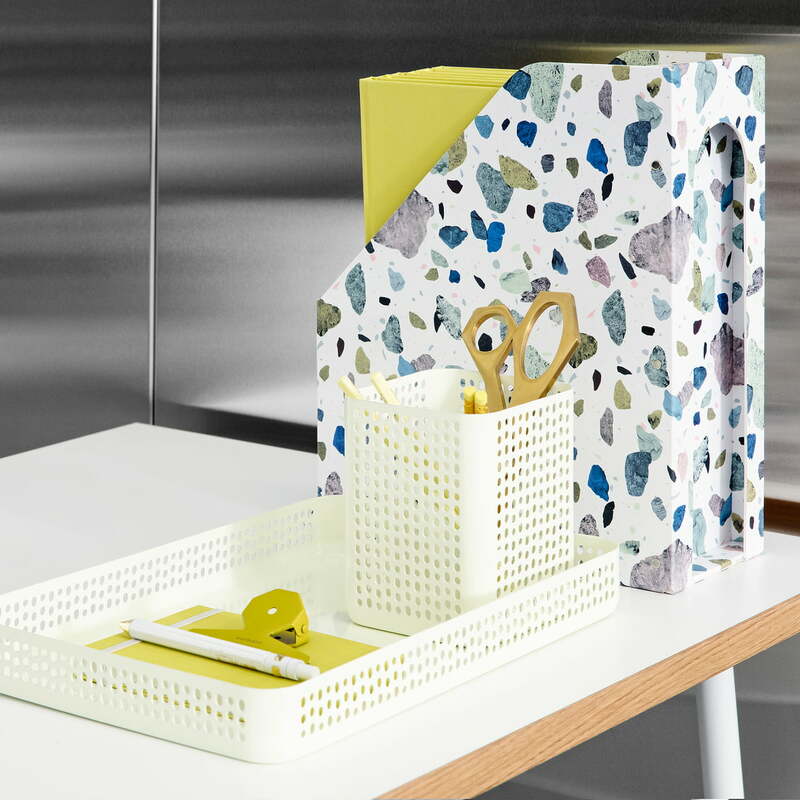 The Nic Nac Organizer 34 x 23 cm is perfect for loose letters, notes and invoices, but it can also be used as a tray. 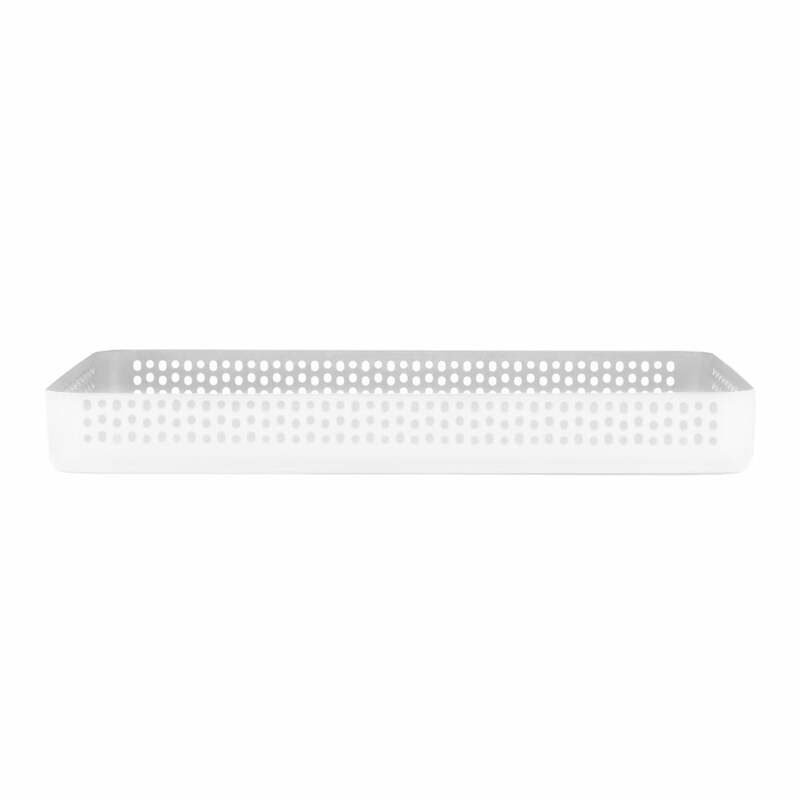 The shelf is part of the useful organizer collection by Normann Copenhagen. The Organizers are available in different colours and sizes, which all perfectly match each other. 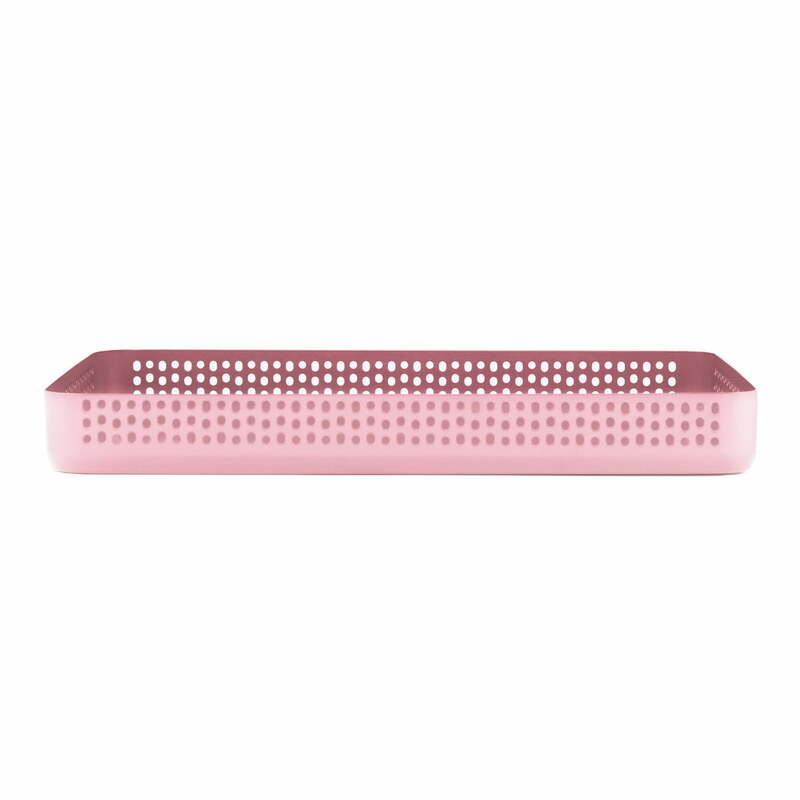 From office supplies, keys and Make-Up to snacks, fruit and vegetables - everything can be stored in the Nic Nac containers by Normann Copenhagen. 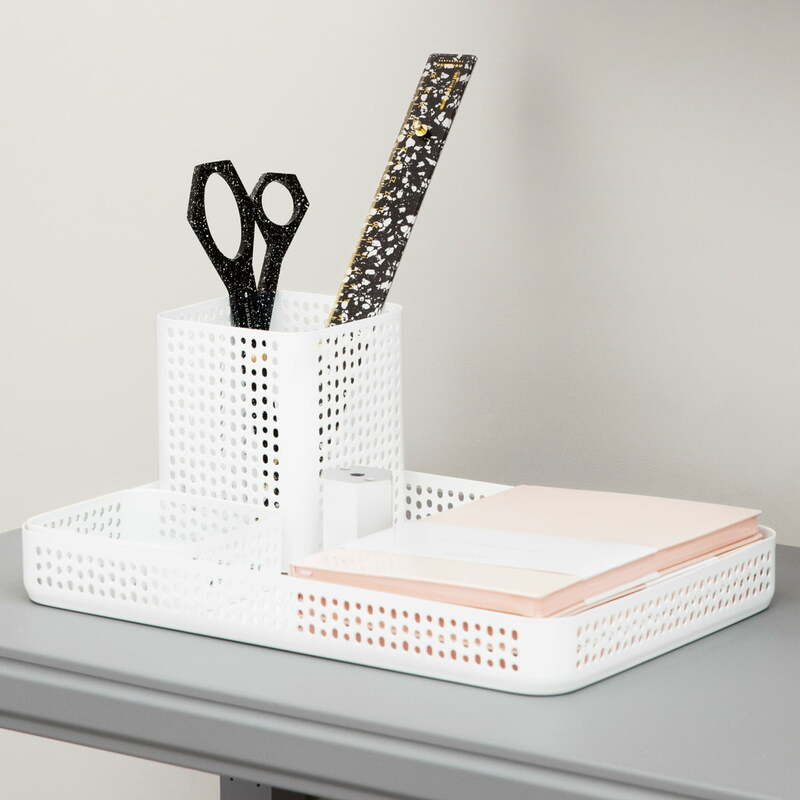 Single image of the Nic Nac Organizer 34 x 23 x 6h cm by Nicholai Wiig Hansen for Normann Copenhagen made from powder coated perforated steel in white. 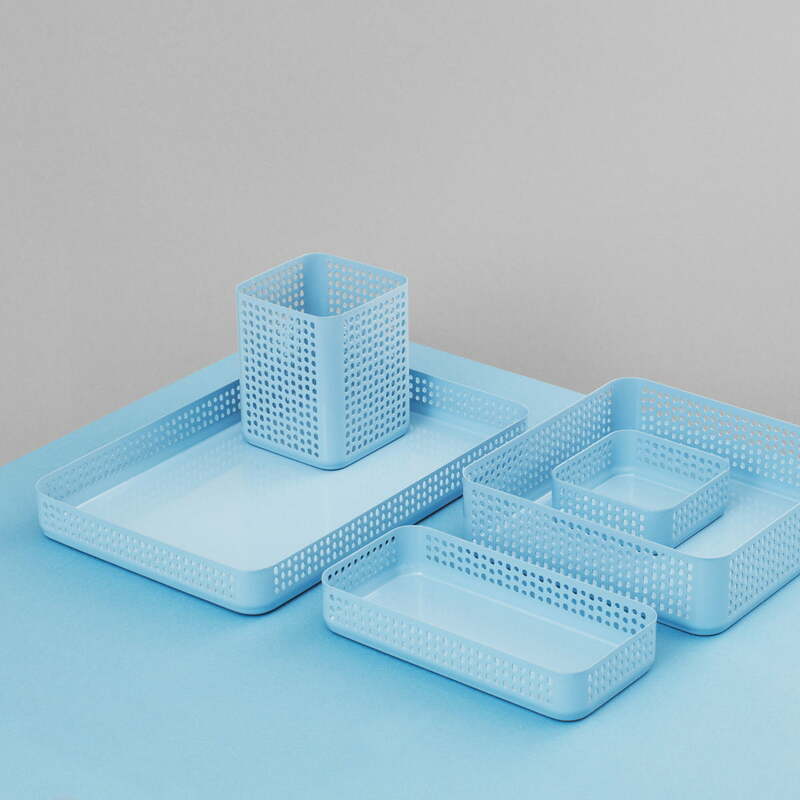 The Nic Nac Organizers are useful storage boxes made by Nicholai Wiig Hansen for Normann Copenhagen. 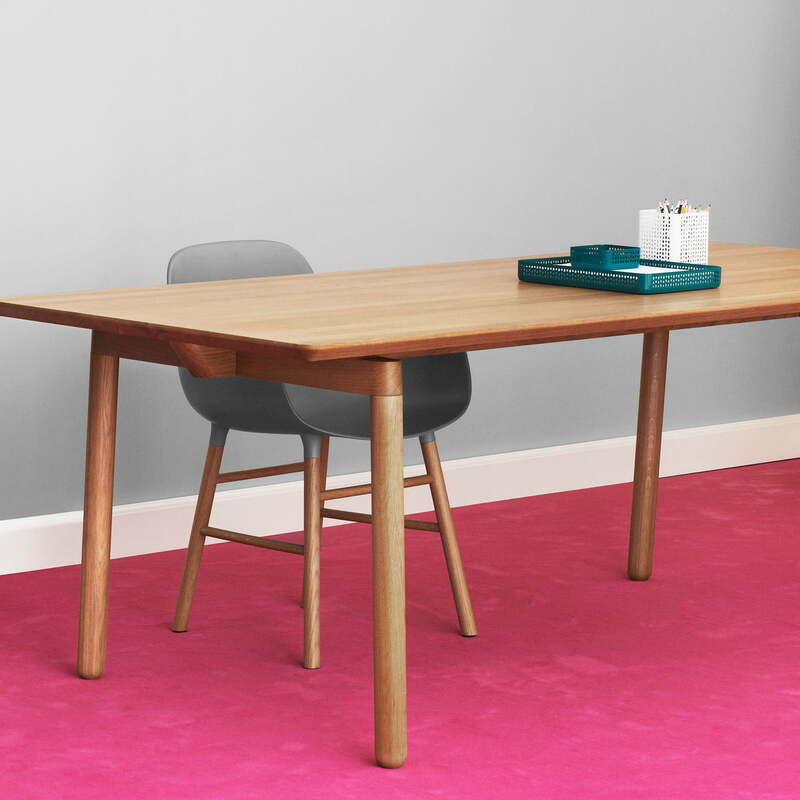 Hansen combined an industrial look with refined details, giving a balanced look to the design.